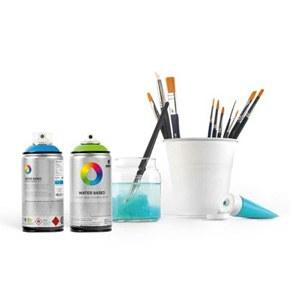 The water-based workshop 16 pack comes ready-to-use and includes the complete set of colors in our Waterbase line! Great for creative use at any skill level. The smaller 100 mL can is perfect for the smaller user and allows complete control.